In a previous blog we presented the various versions of the Viro Panzer padlock and some possible applications. Its versatility is in fact a key to the success of this padlock. But what are the physical and mechanical characteristics which make it different from most other padlocks on the market? Mainly the strength, and this is described by showing you some laboratory tests. The two videos below compare the results of the tests which were carried out on the Panzer padlock and another imported lock, for shutters. 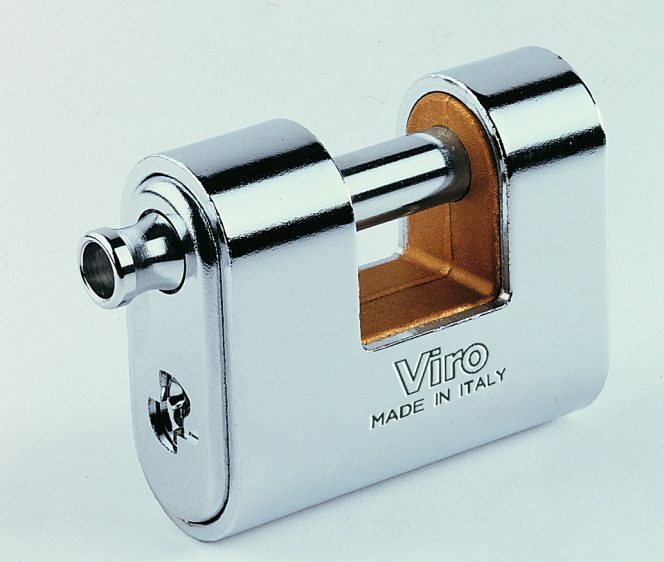 This first video shows, up to minute 7:34, that, unlike normal padlocks, which appear rusty after the salt spray test, the Viro Panzer has only a slightly darker brass body (a material which does not corrode and can be easily polished) and there are no signs of rust either on the lock-bolt or on the armour. On the other hand, the second video shows, up to minute 8:31, how the Panzer resists blows. the body is made of brass, which is a material that, as well as contributing to a low weight of the product, lends itself to a very precise machining and careful attention to details. the double protective steel armour welded by robot machinery and pressed on the body of the padlock guarantees the strength and security. the plug with 7 pins vs. the 5 pins used by the most common padlocks on the market. the anti-drill and burglar resistant plate to protect the plug. the rotating and anti-cutting lock-bolt with a head / grip cross-section designed for programmed breakage, to prevent the pulling off of the lock-bolt. the rounded shape which makes any attempt to grip it with burglary tools difficult. Panzer padlock suitable for half cylinder. So the Panzer Viro can be a great ally to defend the shutters of a shop or a room, but also gates, equipment, forklifts, vending machines and containers, thanks to its materials and its physical and mechanical characteristics. Simply choose the model that best suits your needs. 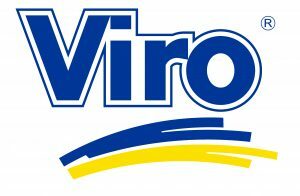 To learn more, look at all the constructive and functional features of the Viro Panzer. This entry was posted in Padlocks on 22 January 2019 by Miryam Sarti.